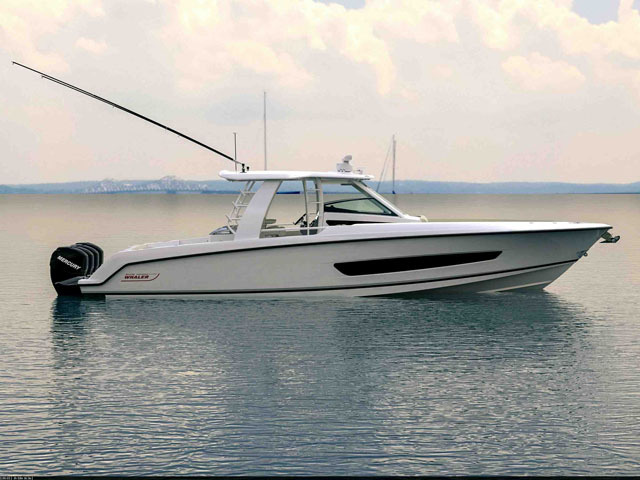 Whaler responded to several fine-tuning suggestions from experienced boaters to revamp their 285 design, the Boston Whaler 285 Conquest. When Boston Whaler began the task of rethinking the 285 Conquest, the iconic American company turned to existing cabin boat owners in the 26 to 30-foot range. What they learned prompted them to reevaluate many things, not the least of which was how space was allocated between helm and cockpit. 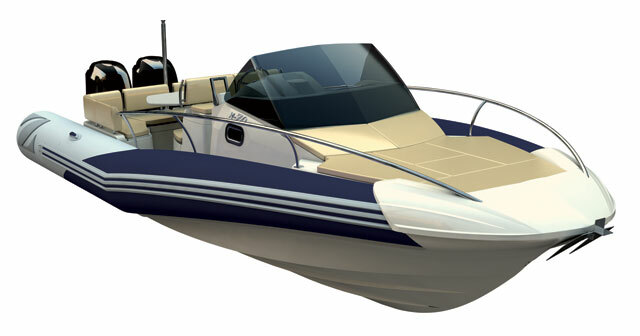 The updated 285 Conquest integrates a permanent hardtop with a full windshield forward and partial side windows. Full side windows or a pilothouse version will be offered as options. 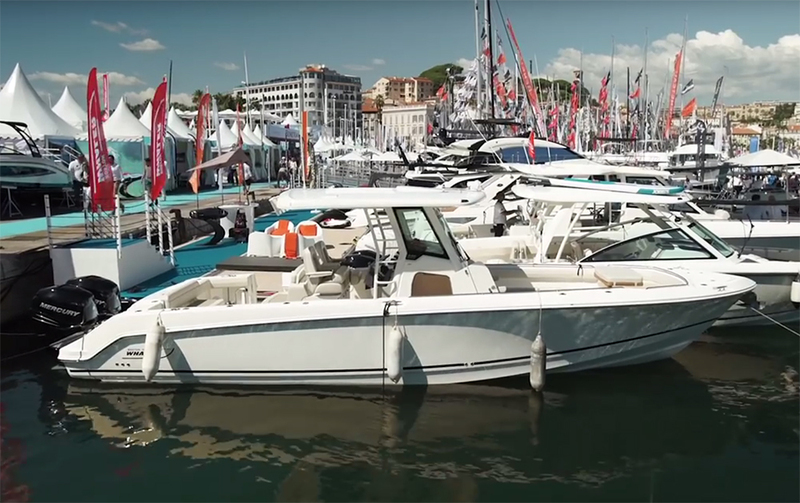 Approach the new 285 from the dock and a renewed emphasis on the helm deck is obvious. (For an "onboard" perspective, view the Boats.com Boston Whaler Conquest 285: Video Boat Review.) Rather than a conventional windshield topped with zippered and segmented isinglass, Whaler offers an integrated windshield/hardtop design that allows for large, tempered-glass windshields. The result is a virtually unobstructed view from the helm, not to mention a superior level of weather protection. Worried that things might get toasty on a hot day? A power-actuated vent allows the breeze to flow through. In really hot conditions you can click on the air-conditioning. Open side wings provide additional ventilation, or they can be enclosed with Makrolon/canvas panels. The 285 will also be offered in a full side-window design, as well as a pilothouse version, for colder climates. Whaler’s new helm seat is a showpiece. It features an internal stainless steel frame, Whaler-styled upholstery, and cast stainless-steel flip-up armrests. True attention to detail, however, is found in the seats alongside. To port, facing seats replace the typical bench to give passengers a comfortable spot to actually sit and face forward when running, or face each other for social situations. Add the optional table and you’ve got a good spot to play cards or enjoy a snack. Add a filler cushion to span the gap and you have a traditional bench. That seat’s coolest feature, however, is its backrest. Pivot it forward and an angler now has a comfortable, shaded position to face aft and keep an eye on baits. A footrest even pulls out from the tackle center below. That’s not to say the cockpit gets neglected. Fishing amenities include a bait prep area to starboard, two large in-floor fish boxes with pumpouts, plenty of space for rods on the hardtop legs, gunwales, and transom, and a 31-gallon livewell in the aft port corner. It’s bigger than on the previous boat, features a large opening, and has a clear lid to keep tabs on bait. 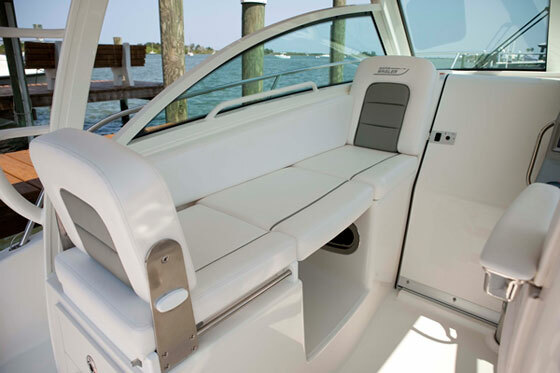 Whaler has always done a nice job with foldout aft transom seats, but this one is exceptional. It pivots smoothly in and out, and is supported by massive, stylish hinges that require no other support below. The seating arrangement to port is highly adaptable; it can form a bench as shown, a forward-facing companion chair, face-to-face seating (with a table optional), or an aft-facing angler position. Clever touches are found in something as simple as the cockpit sink. It’s an area that typically is used for temporary storage, like a spot to set lures. For that reason it’s been kept shallow, with a flat bottom, for easier access. Whaler also skipped a compartmentalised locker below in favor of a large, open stowage area. It provides plenty of room for those cumbersome items, like a cast net, cooler, or large duffle. On that console’s inboard face you’ll find the DC distribution panel and battery switches. It’s the first place you’ll stop when coming aboard for the weekend, and the last you’ll pass when leaving. The cockpit location (with a lockable access door) prevents you from fumbling around in a dark cabin. And then there’s the optional sunshade, which cranks out from below the hardtop. It covers almost the entire cockpit, and avoids any vertical supports that would get in an angler’s way. As for the cabin, space reflects the reality of how owners use this size boat. I once spent a week aboard a similarly sized model, so I instantly appreciated several details. A hinged table folds in half to offer better access in and out of the forward berth. To convert into a bed, simply push the table down and pull in the cushions. It takes just seconds, and eliminates searching for (or needing to later stow) a filler cushion. The galley has been tightened up to provide more overall space. Cooking below is minimal, so Whaler wisely opts to make the microwave standard rather than a stove. Cabins are also often dark, so a skylight offers welcome natural light. And those actually spending numerous nights aboard will appreciate the open feeling of the 285’s midcabin berth, as well as the head’s standard VacuFlush toilet and shower. Makeover aside, the 285 is still all Whaler. Unibond construction bonds both the hull and liner together while still curing. All internal cavities are pumped full of high-density foam, resulting in the one-piece structure that allows Boston Whaler to make its famous claim to be unsinkable. 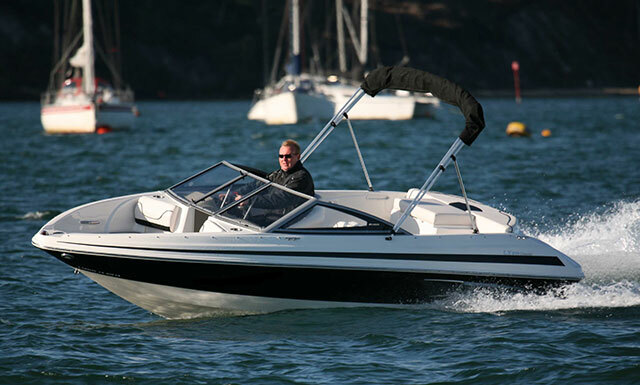 A unitized transom offers the strength to support multiple four-stroke outboards. 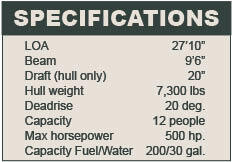 And for 2012 an optimised laminate schedule has reduced weight, yet still maintains the boat’s structural integrity. On a test run in tough Atlantic conditions, the boat responded with a soft, secure, utterly predictable ride that will make a captain confident taking the boat offshore. Whaler did multiple computer simulations searching for the best hull design, and settled on one that favors stability. 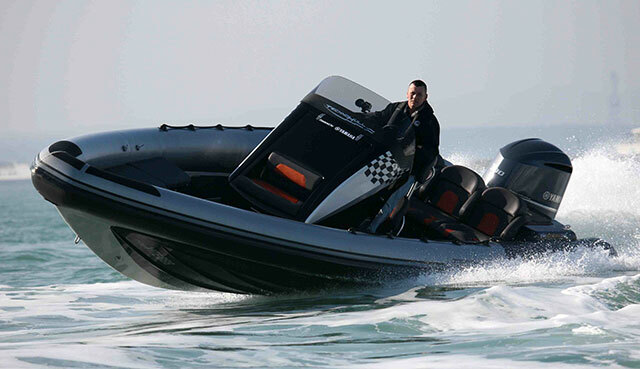 Yet aggressive handling rivaled a smaller performance boat in many instances, with precision, hard-over turns able to be executed in calmer conditions. Mercury drive-by-wire controls offered fingertip control of the potent twin Mercury 225 Verados on the transom. I noted a best cruise of 1.3 mpg at 34.9 mph, and a peak fuel consumption of 46.9 gph at the boat’s near-44-mph top speed. Tradeoffs were relatively minor. The windshield wiper could use an intermittent setting for taking out the occasional splash. A simple stop on the head compartment door would also prevent the inevitable ding. Overall, however, the 285 walks that fine line between luxury and utility, and walks it well. 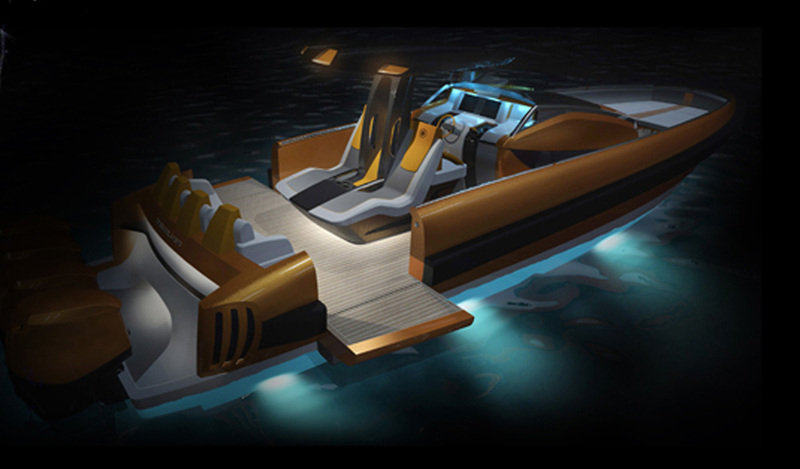 No, it’s not an express cruiser, nor is it the ultimate dedicated fishing platform. But by listening to their customers, Boston Whaler has struck a surprisingly good balance between the two. If you want to fish and cruise, and do both in style, it’s worth a look. 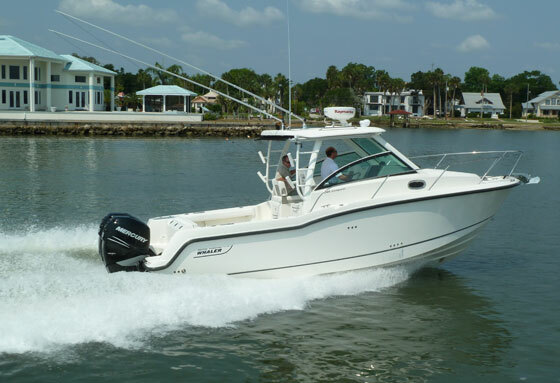 For more information, view the Boats.com Boston Whaler Conquest 285: Video Boat Review or visit Boston Whaler.